Fans of Dunhill cigars may want to stock up. British American Tobacco (BAT), the tobacco giant that owns the rights to the historic cigar brand, has announced that it will remove Dunhill cigars from its portfolio. The announcement comes just weeks after BAT revealed its plan to buy tobacco giant Reynolds American for $49.4 billion. "Like many companies, we continually review and refine our global strategy to ensure the sustainability of our business," a BAT spokesperson told Cigar Aficionado. "As part of this process, we have decided to cease the supply of Dunhill cigars and pipe tobacco as of mid-2018. These products make up a very small part of our overall business—the rest of the Dunhill portfolio is not affected by this decision." Dunhill cigars are distributed by General Cigar in the United States and are made at General's factories in Honduras, Nicaragua and the Dominican Republic. For the time being, General says that Dunhill cigars will continue to be rolled and marketed as usual, at least until next year. "British American Tobacco has informed us of their intention to exit the handmade cigar and pipe tobacco business for the Dunhill brands," General Cigar president Régis Broersma said. "As this process will take approximately 12 to 18 months to complete, it will be business as usual; therefore, there will be no change to the way in which we manufacture, market and sell the Dunhill items in our portfolio in the near future." Asked if General Cigar has any interest in buying the Dunhill brand from BAT, Broersma declined to comment. Dunhill's history dates back to 1907, the year Alfred Dunhill opened his tobacco shop in London. In the 1930s, Dunhill saw success distributing Dunhill branded Cuban cigar lines such as Don Candido, and later, in the 1960s, Don Alfredo. 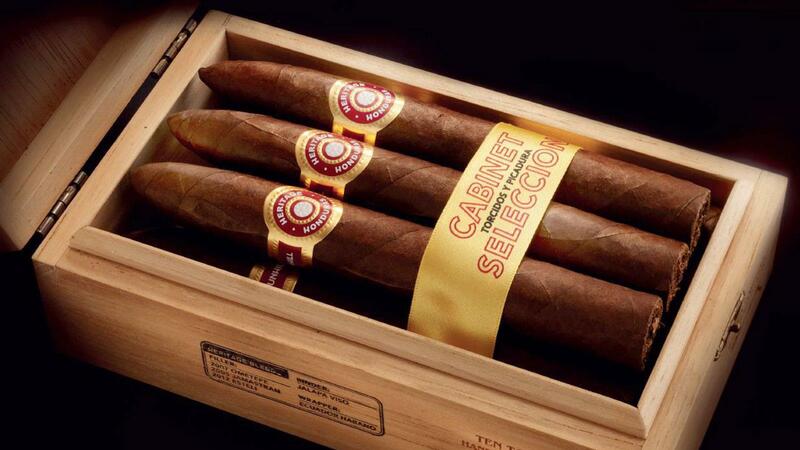 In the early 1980s Dunhill launched its own cigar line rolled by Cubatabaco, the Cuban state run cigar company (In the 1990s, Cubatabaco would eventually form the arm Habanos S.A. to handle production and distribution of all Cuban tobacco products). After Cuban production ceased, the brand's history became a bit convoluted. Production of Dunhill cigars moved to the Canary Islands, and later to the Dominican Republic and Honduras, rolled at factories owned by Consolidated Cigar Corp. (a company that would later merge with Hav-A-Tampa, Inc. to form Altadis U.S.A.). Eventually, General Cigar took over production and distribution of Dunhill in an attempt to centralize the operation and reacquaint smokers to this brand. Modern Dunhills include Dunhill Signed Range, 1907 by Dunhill, Dunhill Aged Cigars, and Heritage by Dunhill. "While we appreciate that this may be disappointing news for some consumers and industry partners, these decisions help us to remain focused on, and investing in, the right parts of our business to ensure our longevity for the future," the BAT spokesperson said.